← Well, if nobody’s going to ask the question, I will. Here is another good reason to avoid Twitter. I don’t regularly take up causes on WUWT, but this one sticks in my craw for the sheer pointlessness of it all. To borrow an overused phrase from the warmist movement, this is a “canary in the coal mine for free speech and climate skepticism”. 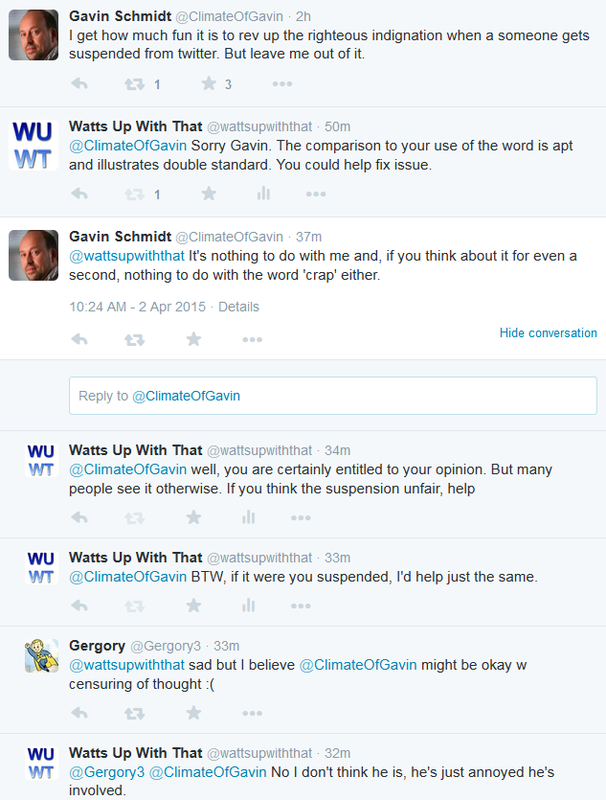 Yesterday, I posted Abusive censorship on Twitter – same word used by Gavin Schmidt gets commenter banned. In that post, you can see the exchange and what appears to be the reason, simply using the word “crap” to describe a graph. 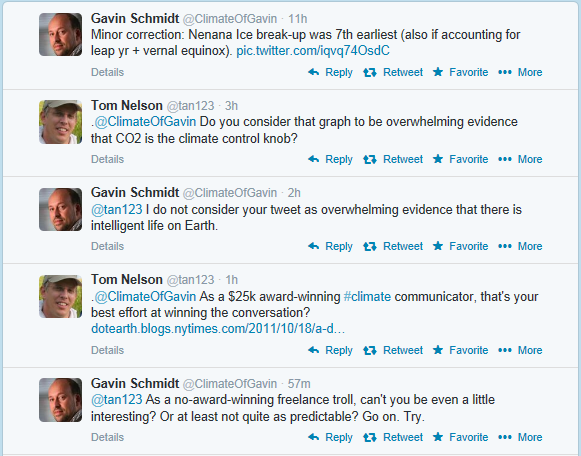 Nelson compared his use of the word to how Gavin Schmidt has used the word on Twitter in the past. In keeping with Team ‘no culpability” policy, Gavin complains there’s no comparison, and wants to be left out of the issue. Of course he does.